In the series, Gluten in Medications: A Dangerous Prescription for Patients with Celiac Disease, The Celiac Scene is sharing information about the resources recommended for pharmacists and patients in the United States. The Food Allergen Labeling Consumer Protection Act of 2004, which requires packaged food labels to identify all ingredients containing wheat and other common allergens, was a major landmark for people with celiac disease and food allergies. Yet no similar requirement exists for medication labels. Manufacturers use excipients to bind pills together and help deliver the medication to the patient. There are several types of excipients, and some of them may contain gluten. Although few medications actually contain gluten, it is important that the ingredients of each medication are explored to determine the source of excipients – and to verify the particular drug is gluten-free. The generic form of a medication may use different excipients than the brand name drug. Even if the brand name is determined to be gluten-free, the gluten-free status of each generic must be verified. 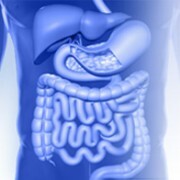 Q: How likely is it that a prescription or over the counter drug has gluten in its inactive ingredients? A: Although relatively few medications contain gluten, every oral medication must be investigated to verify its gluten-free status since current labeling regulations do not require that this be addressed. It is important to remember that generic and brand name products containing the same active drug may contain different inactive ingredients and that the source of these ingredients can be changed at any time without notice from the manufacturer. 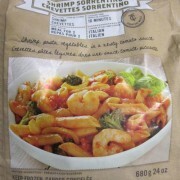 It also should be verified that the manufacturer has taken proper steps to avoid cross contamination from gluten-containing products that may also be manufactured in the same facility. Q: What should I do if I think I’m getting glutened by my medicine? A: Your first step should be to call your physician to let them know that you’re experiencing symptoms. DO NOT stop taking prescription medicine without first consulting your physician. There may be reasons aside from gluten exposure that you are experiencing symptoms, such as side effects of the prescribed medication. It is important to understand that some common side effects of medicines overlap with gluten exposure, as well as to know that sugar alcohols in medications can cause significant abdominal discomfort that could be easily confused with symptoms of gluten exposure. 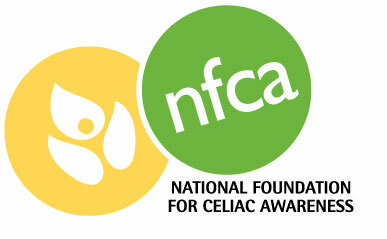 NFCA strongly recommends that you take the following action: Address your concerns and any symptoms with your physician as soon as possible and call the manufacturer to ask about the sources of their inactive ingredients as well as their production processes and any steps taken to address gluten exposure. Q: Who can I contact to report a suspected reaction to gluten in medication? A: It is important to remember to take precautions to identify safe medications to treat your illness or condition before taking a medication. However, in the event that you suspect your medication caused a reaction to gluten, NFCA strongly suggests that you contact your physician, discuss the suspected reaction with your pharmacist, and call the manufacturer of the medication in question to alert them to the issue. 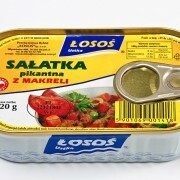 When talking to the manufacturer, you should also ask them about their production procedures, whether their medications are made on shared equipment with gluten-containing medications, whether they test their products for gluten, and if they speak to the manufacturers of their sourced ingredients about possible gluten in their raw materials. Q: How should I discuss my gluten-free needs with my pharmacist? A: When discussing your gluten-free needs with your pharmacist, it is important to be as thorough as possible. You should describe the reasons you are on a gluten-free diet, such as the long-term complications associated with untreated or mistreated celiac disease, a serious genetic autoimmune disorder. You should also make sure to discuss hidden sources of gluten (listed above) and highlight the risks of cross-contact. Provide examples of cross-contact when possible to demonstrate the significance of accidental gluten exposure. What has NFCA done to help? See a timeline of the work we’ve done in relation to gluten in medications since 2007. NFCA has conducted preliminary research on gluten in medications. Read more about this research here. 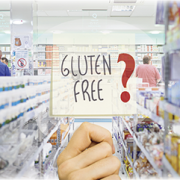 Gluten in Medications Guide: This guide, created and developed in collaboration with American Society of Health-System Pharmacists (ASHP), can help when asking pharmacists about gluten-free prescriptions and other medication needs. Gluten-Free Drugs: This list is maintained by Dr. Steven Plogsted and his pharmacy students at Columbus Children’s Hospital, Columbus, OH. The Rubins: This website dedicated to senior citizens maintains a directory of drug manufacturers. Website addresses and phone numbers are provided, and may prove useful when one needs to contact a manufacturer to determine if gluten is an ingredient in a medication. *NFCA note: While strong attempts have been made to develop consumer-driven lists of gluten-free medication, it is very important to note that these require constant updating and oftentimes contain errors. Gluten-free consumers should use these at their own precaution. 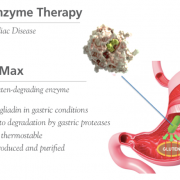 The National Foundation for Celiac Awareness advances widespread understanding of celiac disease as a serious genetic autoimmune condition and works to secure early diagnosis and effective management. We empower our community to live life to the fullest, and serve as a leading and trusted resource that inspires hope, accelerates innovation and forges pathways to a cure. NFCA is affiliated with the leading researchers internationally and supports collaboration and partnership among scientists and institutions to optimize research potential with the goal of improving the quality of life for those who have celiac disease and other gluten-related disorders.